Racing against the best of the best, Jake O’Neil was one of the best with a third-place finish on Friday, but Saturday night there was nobody better from start to finish as he dominated the 40-lap USMTS Hunt for the Casey’s Cup main event at the Canyon Speedway Park. Leading from the drop of the green flag to checkers, O’Neil wasn’t just dominant in the feature race. He ran down Friday’s night’s winner, Johnny Scott, to win Fast Shafts Heat Race #2 and sat atop the heat race passing points going into the night cap. The 25-year-old from Tucson proceeded to draw the pole position and then marched away from the field to claim the $3,000 first-place money by pounding his #0 machine on the high side of the 3/8-mile clay oval. Two cautions in the first eight laps allowed the field to close back in on O’Neil, and then a third and final caution just past the halfway point wiped out a sizeable lead again. But O’Neil was up to the challenge each time and drove away from eventual runner-up Ricky Thornton Jr. on each restart. In the series’ first venture into the Copper State, the pair rewarded their fans with an Arizona pilot one-two finish. While O’Neil was checked out, the battles for position behind him were stellar. Scott followed Thornton to the stripe in third while Lucas Schott came from 13th on the grid to take fourth in front of 11th-starting Terry Phillips. Dereck Ramirez finished sixth after starting 16th and earned the FK Rod Ends Hard Charger Award. Zack VanderBeek held on for seventh, Rodney Sanders rebounded from a pit stop on lap eight to grab eighth and Fito Gallardo fended off fellow Las Cruces, N.M., racer Stormy Scott for ninth. In the USMTS Hunt for the Casey’s Cup points, Johnny Scott maintains the top spot but O’Neil closed the gap to just 13 points (427 to 414) with his clean sweep Saturday. Ramirez sits third with 403 markers, followed by Schott (392), Sanders (365), Stormy Scott (364), Phillips (356), VanderBeek (353), Jake Timm (341) and Logan Robertson (295). The mud-slinging masters of dirt modified racing return to the Southern New Mexico Speedway this Friday, Saturday and Sunday, April 20-22, for the Rancho Milagro Short Track Shootout. This will be the one and only stop of the 2018 campaign at the Las Cruces, N.M., oval—and possibly the last ever before the new Vado Speedway Park opens in the near future. Presented by Premier Waste Services, Barnett Harley-Davidson, G3 Fitness, S&S Fishing & Rental and Torco Race Fuels, fans will see the best of the best of both worlds as the blockbuster is both a USMTS Hunt for the Casey’s Cup national series race and a Summit USMTS Southern Series event. In the Summit USMTS Southern Series, USMTS rookie Ethan Dotson of Bakersfield, Calif., picked up his career-first win in February, and trails Johnny Scott and Dillard in the points chase entering the Short Track Shootout while two-time USMTS national champ Rodney Sanders and Ramirez rounded out the south’s top five. Also on the racing card all three nights of the Rancho Milagro Short Track Shootout will be Anthony Sosa Roofing Late Models, Hacienda Carpet & Tile X-Mods, Casa Nissan Legends Cars and Sun Valley Hardware USRA Stock Cars. The Modifieds will be co-sanctioned by the USRA and will earn Summit USRA Weekly Racing Series national, regional and track points all three nights along with Stock Cars and B-Mods (X-Mods). On Friday and Saturday, gates open at 5 p.m. with racing at 7 p.m. General admission is $12. A family pack is $30. Pit passes are are $40 (three-day pit pass $110). Kids ages 10 and under get in for free all three days. 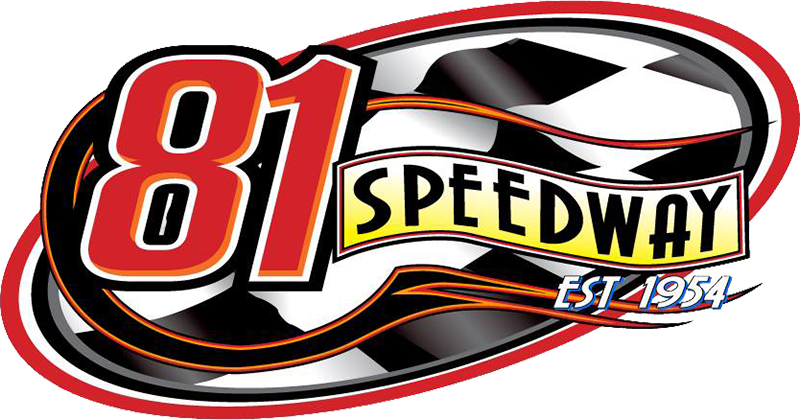 The Southern New Mexico Speedway is a high-banked 3/8-mile clay oval located 11 miles west of Las Cruces at the Southern New Mexico State Fairgrounds. Take exit 132, go left and take the frontage road south of I-10 heading west. For more information, call (575) 524-7913 or (505) 524-7913 or visit www.snmspeedway.com online. You can also check them out on Facebook at www.facebook.com/southernnewmexicospeedway and follow on Twitter at www.twitter.com/snmspeedway. Canyon Speedway Park, Peoria, Ariz.
1. (2) G3 Fito Gallardo, Las Cruces, N.M.
2. (1) 71 Jessie Hoskins (R), Longdale, Okla.
3. (4) 111 Bumper Jones, Mesilla Park, N.M.
5. (8) 20 Rodney Sanders, Worthington, Minn.
6. (3) 26 R.C. Whitwell, Tucson, Ariz.
7. (6) 92p John Parmeley, Phoenix, Ariz.
8. (7) 8 Chase Alves, Chandler, Ariz.
1. (4) 0 Jake O'Neil (R), Tucson, Ariz.
2. (1) 1st Johnny Scott, Cameron, Mo. 3. (3) 75 Terry Phillips, Springfield, Mo. 4. (6) 69 Lucas Schott, Chatfield, Minn.
5. (8) 20r Bryan Rowland, Woodward, Okla.
6. (5) 99 Terry Tipton, Duncan, Ariz.
8. (2) 65x Carlos Ahumada Jr. (R), Canutillo, Texas. 1. (1) 5m Ricky Thornton Jr., Chandler, Ariz.
4. (3) 8c Chris Clark, Jackson, Wyo. 6. (7) 23 Adam Kates, Tonganoxie, Kan.
6. (6) 23 Logan Robertson, Shamrock, Texas. 7. (2) 65s Carlos Ahumada Sr., El Paso, Texas. 1. (4) J17 Jake Gallardo, Las Cruces, N.M.
2. (2) 19sb Lance Mari (R), Imperial, Calif.
3. (1) 71 Philip Houston, Odessa, Texas. 4. (5) 2s Stormy Scott, Las Cruces, N.M.
6. (7) 44n Jason Noll, Peoria, Ariz.
5. (3) 77x Austin Kuehl, Cave Creek, Ariz.
7. (6) 40jr Jeff Stafford, Glendale, Ariz.
3. (5) 26 R.C. Whitwell, Tucson, Ariz.
4. (3) 20r Bryan Rowland, Woodward, Okla.
6. (7) 92p John Parmeley, Phoenix, Ariz., Shaw/PerfAuto, $75. 7. (9) 8 Chase Alves, Chandler, Ariz., Shaw/ChevPerf, $75. 8. (4) 23 Adam Kates, Tonganoxie, Kan.
9. (8) 65s Carlos Ahumada Sr., El Paso, Texas, LG2/BMS, $75. 3. (7) 49jr Jake Timm, Winona, Minn.
4. (4) 44n Jason Noll, Peoria, Ariz.
5. (8) 65x Carlos Ahumada Jr. (R), Canutillo, Texas. 6. (6) 77x Austin Kuehl, Cave Creek, Ariz., Shaw/Klein, $75. 7. (3) 8c Chris Clark, Jackson, Wyo. 8. (5) 99 Terry Tipton, Duncan, Ariz., Shaw/Keith, $75. DNS – 40jr Jeff Stafford, Glendale, Ariz., Shaw/Klein, $75. 1. (1) 0 Jake O'Neil (R), Tucson, Ariz., LG2/Cornett, 40, $3425. 2. (3) 5m Ricky Thornton Jr., Chandler, Ariz., Shaw/ChevPerf, 40, $1700. 3. (6) 1st Johnny Scott, Las Cruces, N.M., VanderBuilt/Durham, 40, $1600. 4. (13) 69 Lucas Schott, Chatfield, Minn., MBCustoms/Hill, 40, $1390. 5. (11) 75 Terry Phillips, Springfield, Mo., GRT/Durham, 40, $1180. 6. (16) 4r Dereck Ramirez, Woodward, Okla., Hughes/Cornett, 40, $1075. 7. (4) 33z Zack VanderBeek, New Sharon, Iowa, VanderBuilt/Sput’s, 40, $970. 8. (14) 20 Rodney Sanders, Happy, Texas, MBCustoms/Hatfield, 40, $865. 9. (2) G3 Fito Gallardo, Las Cruces, N.M., LG2/ProPower, 40, $450. 10. (15) 2s Stormy Scott, Las Cruces, N.M., VanderBuilt/Mullins, 40, $760. 11. (19) 20r Bryan Rowland, Woodward, Okla., BlackWidow/ProPower, 40, $430. 12. (10) 91 Joe Duvall, Claremore, Okla., MBCustoms/ChevPerf, 40, $400. 13. (12) 71 Philip Houston, Odessa, Texas, MBCustoms/KPE, 40, $325. 14. (18) 49jr Jake Timm, Winona, Minn., MBCustoms/Sput’s, 39, $600. 15. (22) 65x Carlos Ahumada Jr. (R), Canutillo, Texas, GRT/BMS, 39, $300. 16. (21) 23 Logan Robertson, Shamrock, Texas, MBCustoms/Knowles, 39, $300. 17. (7) 71 Jessie Hoskins (R), Longdale, Okla., Longhorn/PerfAuto, 27, $300. 18. (8) J17 Jake Gallardo, Las Cruces, N.M., LG2/ProPower, 21, $300. 19. (5) 19sb Lance Mari (R), Imperial, Calif., MRT/Yeoman, 21, $300. 20. (17) 26 R.C. Whitwell, Tucson, Ariz., Shaw/ChevPerf, 17, $300. 21. (20) 44n Jason Noll, Peoria, Ariz., MRT/Yeoman, 17, $250. 22. (23) 23 Adam Kates, Tonganoxie, Kan., VanderBuilt/Speedway, 14, $300. 23. (9) 111 Bumper Jones, Mesilla Park, N.M., GRT/Sput’s, 8, $300. 24. (24) 8c Chris Clark, Jackson, Wyo., GRT/Cornett, 2, $300. Margin of Victory: 2.689 seconds. Time of Race: 20 minutes, 11.719 seconds (3 cautions). Eibach Spring Forward Award: Schott (advanced 11 positions). FK Rod Ends Hard Charger: Ramirez (started 16th, finished 6th). Next Race: Friday-Sunday, April 20-22, Southern New Mexico Speedway, Las Cruces, N.M.
USMTS Hunt for the Casey’s Cup Points: J. Scott 427, O'Neil 414, Ramirez 403, Schott 392, Sanders 365, S. Scott 364, Phillips 356, VanderBeek 353, Timm 341, Robertson 295. Grant Junghans USMTS Rookie of the Year Points: Ethan Dotson 462, Ahumada Jr. 455, O'Neil 414, Zane Ferrell 324, Billy Vogel 304. USMTS Engine Builder of the Year Points: Durham 60, Sput’s 51, ChevPerf 50, Cornett 45, Knowles 44. USMTS Manufacturers Championship Points: MBCustoms 71, VanderBuilt 68, Hughes 49, GRT 44, BlackWidow 39. Beyea Custom Headers – Hoskins. Forty9 Designs – Timm, Mari. GRT Race Cars – Ahumada Sr.
Integra Shocks & Springs – J. Gallardo. Jerovetz Motorsports Racing Parts – Ahumada Jr.
Keyser Manufacturing – S. Scott. KSE Racing Products – F. Gasllardo. Mesilla Valley Transportation – Timm. Out-Pace Racing Products – Robertson. Simpson Performance Products – F. Gallardo. Swift Springs – O’Neil, Ahumada Jr.